Nexon studio together with Valve company has prepared a pleasant surprise for the fans of the legendary shooter series. Today, the new Counter-Strike Nexon: Zombies game has been announced. According to the information, this free-to-play project will become available on Steam in six languages this summer or autumn. The Counter-Strike Nexon: Zombies game will combine the classic shooter and a zombie theme. Various hellish creatures - aggressive, fast and very dangerous, - the new modes and the different weapons, which are needed to vanish the bloodthirsty beings, - will appear in it. The gamers won’t have any minute to relax, because the developers are preparing the true action with a great portion of adrenaline for them. Besides the new modes, the Counter-Strike Nexon: Zombies game will include the well-known ones - Hostage Rescue and Bomb Diffusion. “It is our pleasure to launch a free-to-play online version of the all-time favourite FPS via Steam. 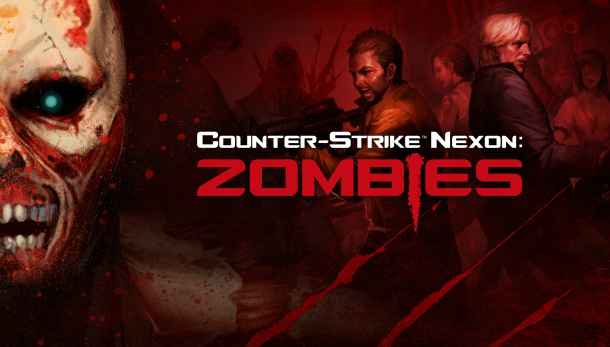 Counter-Strike Nexon: Zombies is a thrilling and easy-to-play game that reaches out to all players. Both players who are new to the game, as well as those that have been logging onto classic FPS games for years will be surprised with the new action it offers”, - Kenny Chang - the CEO of Nexon Europe - has stated. So are you pleased with such news? Are you interested in the new Counter-Strike Nexon: Zombies game?